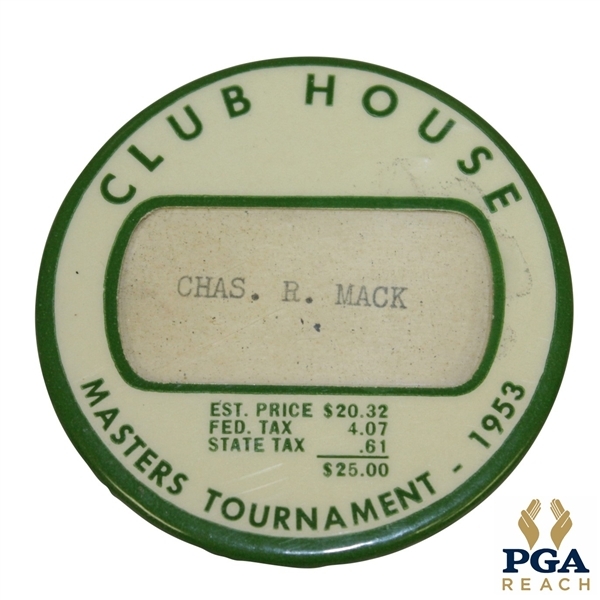 Offered is a 1953 Masters Tournament Clubhouse badge issued to Chas. R. Mack. 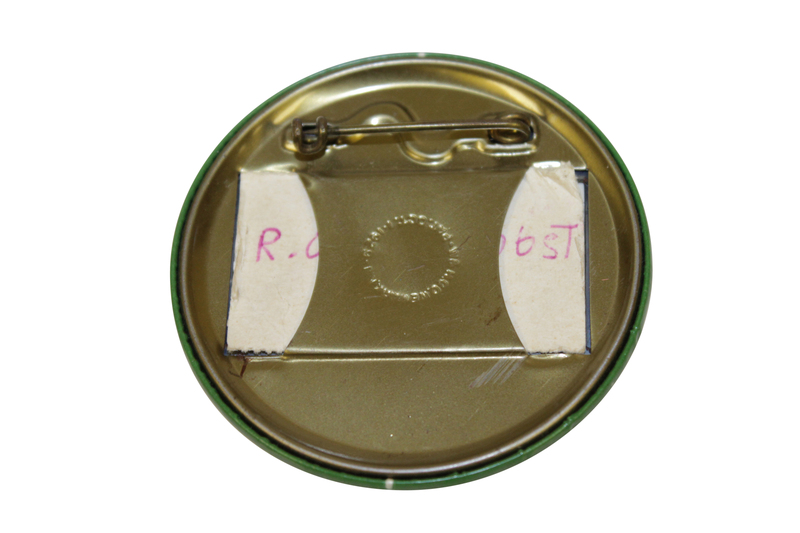 The 1953 Masters badges carry the highest value among Masters badge collectors after the early years 1934-40 ducats. This valuation is due at least in part to Ben Hogan's great run in the 1953 Majors. That year he would become the first player to win three professional Majors in a year following his Masters victory with triumphs in the U.S. Open at Oakmont and the British Open at Carnoustie. The condition of this Clubhouse badge is excellent. There is no paint loss and the original pin, nameplate are still intact. 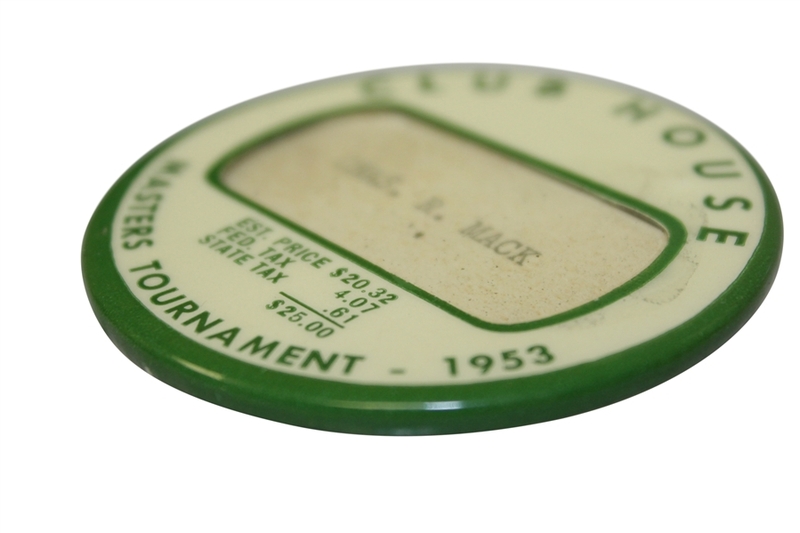 Course worn, this clubhouse credential was there behind the scenes to witness the legendary swing of Hogan and comes in excellent condition. This relic of competition at golfs highest level comes directly from the PGA where it has resided for over 75 years. From the collection of PGA REACH, with a certificate of authenticity accompanying this lot.